CUSTOMIZE ANY DRIVING EXPERIENCE IN LAS VEGAS WITH SOME VERY EXCITING OFF ROAD ADVENTURES. 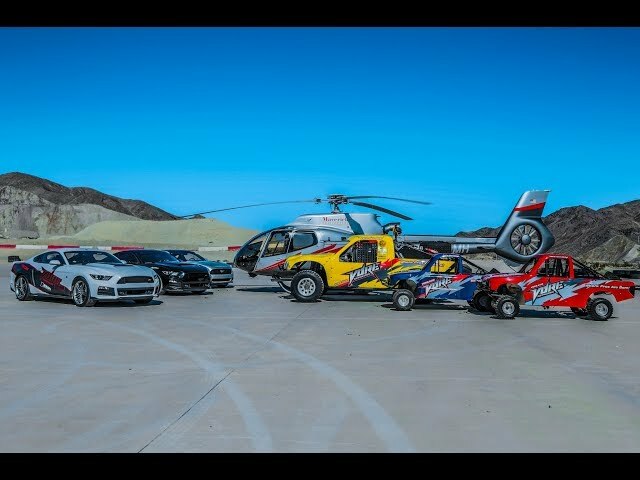 VORE helps you to find awesome Off Road Racing Packages in Las Vegas, whether it may be Corporate Team Building Ideas, Adventurous Driving Experience or any Vegas Off Road Experience. VORE’s world renowned arena style, stadium like, professional level, short course race track is one of the best built off road tracks around. Have you ever attended a professional Pro2 Lucas oil or TORQ short course off road race and wished you could do that? Well now you can. We have spent hundreds of development hours, working with only the best in the business to come up with a pro level short course track that will allow you to have the best driving experience available in Las Vegas. More than just a driving experience, at VORE you’re in charge! “It’s YOU” who gets behind the wheel to drive the experience. Jump inside one of our Roush Mustangs for a behind the wheel experience like none other. VORE has partnered with Ford Racing and launch the first official Ford racing SVT Raptor School which is now called “Ford Racings Raptor Rampage” We are one of the exclusive Ford Racing Raptor schools in the nation and have Raptor experts on staff. Whether you want to learn more about your Raptor or just explore what a Raptor can do, this Raptor Rampage School is just for you! When you choose our multiple day packages you are going to remember this experience for the rest of your life. This is the ultimate way to bond with great friends and develop new friendships.